So many times the website of a business is the very first interaction potential customers will have with the brand. If they have to battle with web pages that take forever and a day to load or a layout that does not make sense at all, the chances are pretty good that the visitors will remember the brand for all the wrong reasons. Bearing this in mind, it is then needless to say that the job of website designer should never be underestimated. However, there are still too many website designers that fail to take their job seriously and do not address common website problems. The following are five of the biggest website user experience problems that website designers tend to overlook and how these mistakes can be fixed. 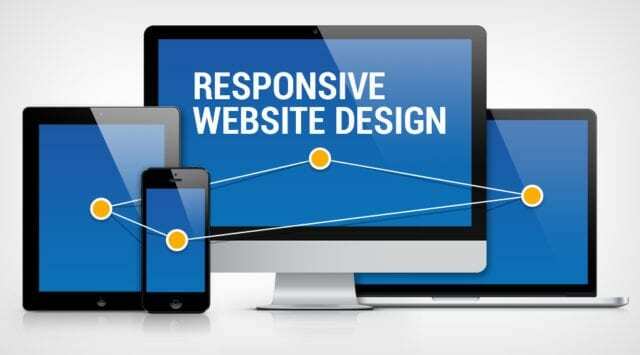 It is great that many website designers have convinced their clients to make sure that their business websites are indeed mobile responsive. Though, you have to take it one step further and also make sure that you have actually applied the best practices that a website designer should apply with regards to responsive web design. For example, website visitors should be able to click on a phone number can get connected to the business in real time. Make no mistake about it – website design is really important and deserves all the emphasis that it gets. Though, many times website designers forget to pay just as much attention to the various messages that the website needs to convey. Therefore, it is crucial to look at the selection of words carefully so that you can ensure that everyone, whether it is a beginner or an expert in the field, will be able to grasp everything that you are trying to communicate without any difficulty. Unexpected locations for website content is one of the website design errors that no website designer should make, yet in today’s day and age there are still too many Internet users who are finding it hard to locate the relevant info that they are searching for. It should be effortless for website visitors to locate the key info about a business and its products and/or services. They should literally be able to do it within a click or two. If it requires too many clicks, the chances are good that they will simply hop on over to another website. To curb this problem, you will need to get better data with regards to user behaviour and their likes. Luckily with the help of machine learning and advanced analytics, website designers can offer more customized info that the potential customers are searching for online. Another much simpler solution is to concentrate on how you can make the navigation as straightforward as possible. Another thing that should be easy to find is your contact information. It might sound like one of the most obvious things, but many times website designers forget that the very reason why users have Googled a business is to receive help. So, make sure that the business phone number does not disappear behind impressive content and that the website visitors will know how they can get in touch with the business. If your web page does not load successfully in a matter of seconds, no user will ever get to see it. The reality is that if your web page does not load in three seconds or less, it is simply just not good enough. So, to make sure that all your web pages load quickly, it is best to test your load times regularly. That being said, remember that in several parts across the globe, Internet users only have access to slow connections. With the help of planned progressive load, website designers can significantly boost the user experience. So, give thought to which details the visitors would like to see first and design the website in such a manner that this info loads first. At the end of the day every single website designer should see to it that the information can be accessed effortlessly by using a search function or simply browsing the website. Creating a logical user experience is one of the 11 essentials that every website designer should always remember to make one of their priorities. So, make sure that you website navigation is simple to understand and your websites are guaranteed to deliver a much better experience.